A fresh brew at Cafe Hawelka, Vienna. From the rim of a chilled waterglass, he lifts a teaspoon and stirs it through the foam of his melange, a slightly weaker version of the cappuccino. It’s 11am and local museum owner Gerhard Strassgschwandtner takes up a seat at Café Sperl, described by Vienna’s Tourist Office as “Viennese coffee house romance at its finest”. A few metres behind him, 46-year-old Rainer Straub mans the ‘concierge’. Dressed in a white shirt, bow tie and black pants, Rainer greets patrons from behind a marble-topped desk. To his left, there’s a cabinet lined with Austrian cakes like strudel, soft cheese pie and the marble cake gugelhupf. And to his right, a fanned display of international newspapers, 30 titles to be exact. Café Sperl, like many of Vienna’s classical coffee houses, is part library, part park, part daytime hotel. There’s an air of old-world formality here. A commitment to service. But as patrons sit quietly in private pockets of thought, concentration or conversation, there’s also a feeling of calm. It’s another world – one just as charming as Vienna’s streets outside. Whether patrons stay an hour or a day, it won’t phase the owners. As Austrian novelist Stefan Zweig writes, the Viennese coffee house is a kind of “democratic club” that’s open to all comers. Vienna, Zweig believes, owes its cultured air to the worldly information provided by houses such as Sperl. While Gerhard ponders his paper and chooses gugelhupf for morning tea, two patrons play billiards. A lady cloaked in purple reapplies lipstick, pays her cheque, then disappears beyond the café’s doors. In another booth, a white-haired man corrects the angle of his bowtie. Sun spills from a nearby window onto his suite of papers – the café’s account books, perhaps. With a history as rich as Sperl’s, it’s not hard to see why. The café was built in 1880. It mostly ‘housed’ artists up until 1938, including architects, singers, writers and actors. But it also served regulars with a different type of caché, such as archdukes Joseph and Karl Ferdinand. More recently, the café has returned to its artistic roots. But this time via film sets. Before Sunrise, The Crown Prince, and A Dangerous Method, the drama based on Sigmund Freud and Carl Jung, each contains scenes shot here at Sperl. This establishment, though grand, is not singular. Altogether, the city’s coffee shops tally around 800. Traditional Viennese coffee houses total 150. Yet technically, as Gerhard explains, Café Sperl is ‘classical’ not ‘traditional’ as it employs female, as well as male, service staff. No matter what its stripes, each Viennese café owes its inception to the Turks. As the history goes, Turkish invaders left bags of coffee beans by city gates after they were chased from Vienna in 1683. At first the bags were mistaken for camel feed, which the Habsburg-Polish army wished to burn. But a Polish officer called Kulczycki instead experimented with the loot, adding water, milk and sugar. Soon after, Kulczycki flung open the doors to the city’s first kaffeehaus. With that, the Viennese local returns his paper to the table, tips his hat to the Straubs, and reunites with the street. Erase ‘flat white’ and ‘piccolo latte’ from your vocabulary. 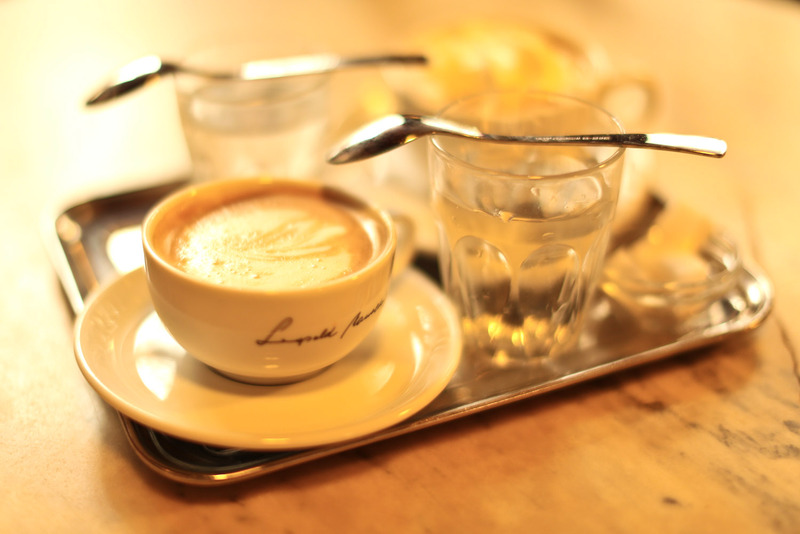 Here’s how to speak coffee, Viennese style. Classical houses deliver all types of coffee in the same way: on a small silver tray, bearing plain white crockery and a glass of chilled water, topped with a downwards-facing spoon. While the old coffee houses are great you can’t beat Cafe Heiner, Kaernterstrasse, or the “Aida”s. Aida has super coffee and the best Cremeschnitten in Vienna, if not Austria.